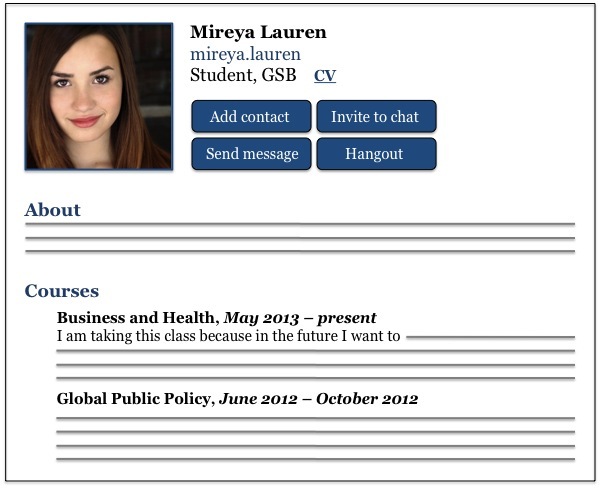 This is something like what I would envision students would see when they click on their peers’ profile. They can then interact with Mireya via any method she chooses to have available (in this case, hangout, chat, and in-mail). How else might students interact?